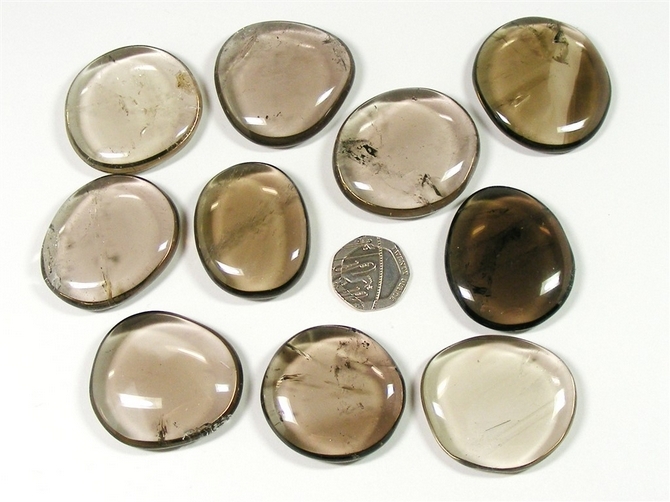 These are really lovely, virtually "see through" Smokey Quartz Palm Stones. They are natural Smokey Quartz and have not been treated. 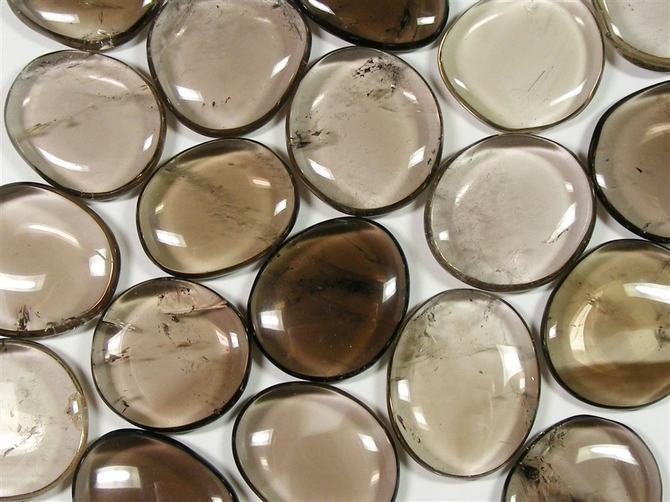 Each one is a great flat palm stone and they have a really good Smokey Quartz colour. Nice to handle, they also have a good feel to them.